Laboratory staff have long known the potential negative health impacts associated with chemical oxygen demand (COD) testing using the traditional dichromate method. 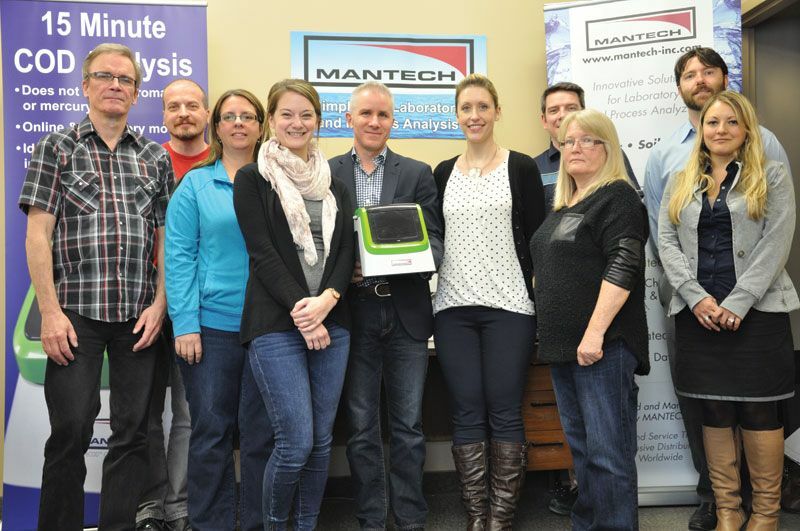 Mantech’s new PeCOD technology not only eliminates the need for hazardous chemicals, but delivers results within 15 minutes, allowing industrial and municipal wastewater facilities to make immediate adjustments to their processes. “At Mantech, we’re always looking for ways to make things greener, safer, and faster without sacrificing accuracy or quality of results,” said Robert Menegotto, president and CEO. To measure organic contaminants in their wastewater, in addition to the five-day biological oxygen demand test generally required by regulatory agencies, many facilities do COD testing. Yet conventional COD analysis, which takes about three hours, uses potassium dichromate and mercury. In Europe, potassium dichromate is listed as a “substance of very high concern” found to be carcinogenic, mutagenic, and toxic for reproduction. As of September 2017, producers of COD tests will need special authorization to sell in Europe. Other regions are also working on banning or limiting the use of dichromate and mercury. In Canada, the BLOOM Centre for Sustainability, the Southern Ontario Water Consortium, and WaterTAP have all played vital roles in testing and validating the technology. The Ontario Ministry of the Environment and Climate Change also conducted an in-depth, 20-month trial, and has since validated PeCOD as an approved testing method. One international pulp and paper company that adopted PeCOD technology in 2014 estimates savings of US$6,341 a day in operational costs. The immediate feedback allows the plant to react quickly across the system, from production to wastewater treatment and discharge. While most early adopters have been industrial sites, the City of Guelph, Ontario, is also on board. Menegotto said PeCOD technology will help the facility move to 24/7 testing. “Now if a big storm comes in the middle of night, they have immediate results and can react accordingly. Or, if an industrial company discharges a load of raw sewage into the system, they’ll know.